i know that Studded / Spikes is soooooo last year, but for me it is Everyday Wanted !! if we add up some spike / studded this will bring some blooming & rockin' effect especially when it come to accessories..
Let Start to make your own Spike Bracelet!! Step 3: Then time to Start thread the each of the spike. you also can mix up with other bangle or bracelet so it come up with some varieties looks! yawwwww! so, this is my idea mix up with my small bangle form Forever21 and add on some Spike! The Final Look so Satisfied!! 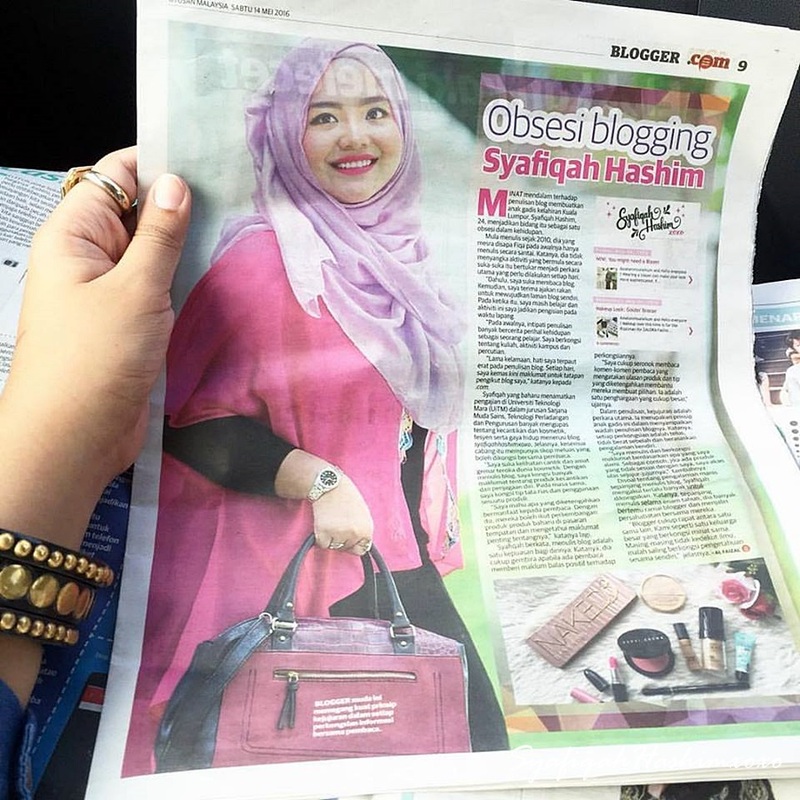 In Shaa Allah i'll share with you more about DIY Project soon! lots of idea came out of my mind !! reason yang pika suka sebab masing-masing punyai karekter yang berbeza and kelakar sangat..huhuu..macam tak percaya pika tengok jugak Running Man ni..hohoo..
aktiviti yang dorang buat untuk Running Man ni semua nya best-best belaka...serious best! 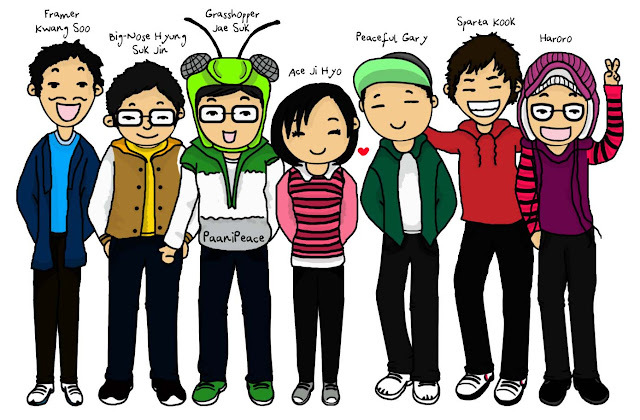 inilah current STAR Running Man!! hihii..
agak-agak Running Man ni akan datang Malaysia tak ehh??? red and black lace memang match together..actually everything is lace will be nice! correct me if i'm wrong..but i guess everyone agree that this combination of this color very tempting ! 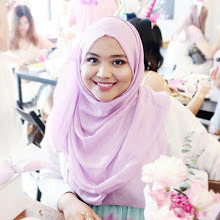 hari sabtu lepas pika berpeluang untuk pergi Markets Jaya One dekat PJ..last minute je sebab check email dapat jemputan untuk Markets ni..last minute jugak ajak Rabiah teman untuk pergi...hehee..memandangkan dia tengah cuti sekarang ni..hehhehhehh..
i'm trying my best nak muatkan kaki tu dengan kasut tu..i love the shoes but anyhow i kinda tak suka dekat seller tu sebab she say something that hurts my feelings..actually kalau kau nak berniaga u have to keep ur customer feeling bukan sebaliknya..kalau seller tu baca entry ini harap anda sedar apa kesalahan anda ye..nasihat untuk kebaikan perniagaan anda jugakk..
kenapa happy pun tak Sure..
get new handbag and cloth..sebenarnya taknak shopping pape pun..sekali terbeli jugak..haiyaa..
overall okay lah..but its not reach my expectation but still OKAY sebab banyak booth-booth yang manarik and jual barang-barang yang best..hehee..next time kalau ada lagi..korang boleh la pergi..merasa sendiri suasa dekat sana...what i don't like is the food selling there bit expensive! awhhh..COME ON lahh!! 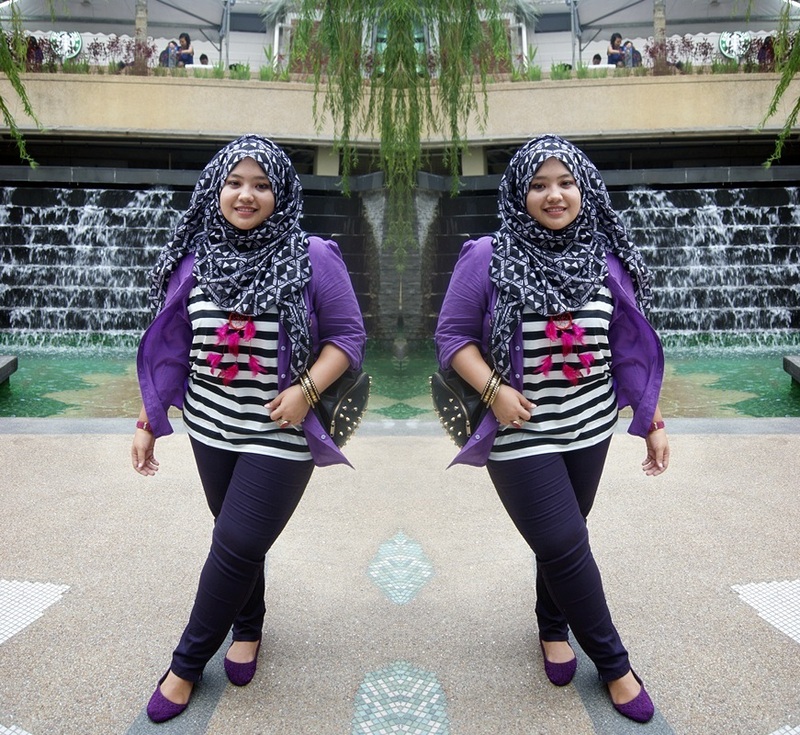 hihiii..
when come to exited motion always mee mee mee...heheheee..
explain about my outfit details i choose to mix black and white stripe and purple add some extra tribal design from my scarf i bought at H&M..the color i black and white so the color tone no tooo hashh..hehee..
add on some accessories like dreamcatcher..and studded bangle..